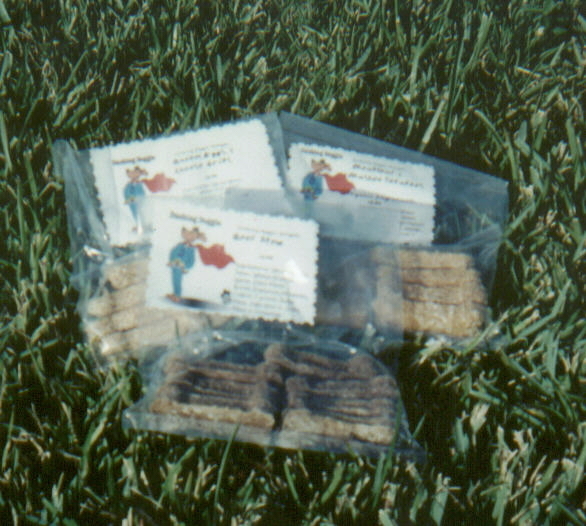 These treats are all natural, organic, nutritious and doggone delicious! And at our low price you will love them too. For only $2.00 for 7 treats ( that's one for each day of the week),you get a full week's supply. Wow, what a buy! Now check out some of the great flavors listed below. You get 7 bones in a bag, a whole weeks worth, for only $2.00! Please be sure to let us know if you are ordering these for a gift. We can enclose a gift card from you, when mailing your order out.